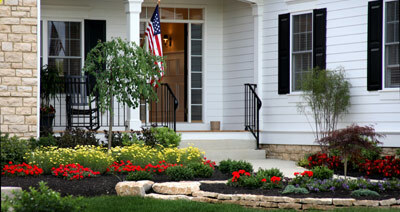 Identifying personal needs and wants is an important step in the pre-planning stage of your landscape design. Considering the entire families personal needs will help create a garden/landscape that is both aesthetically pleasing, enjoyable to walk and relax in, entertain in, and is still functional for the entire family including the family pet. Listed below in the "Checklist of Landscape Needs" are examples of the kinds of landscape needs you might want to consider. Walkways— width, drainage, appearance, and lighting. Major walkways should be wide-enough for 2 people to walk side-by-side. Avoid grading that creates low points in the major walkway areas that can collect standing water that may freeze in colder weather. Lighting at night should provide enough light without shadows so that a visitor won't stumble over steps or other obstacles. Avoid lighting that shines directly into a visitor's eyes that may make it difficult for them to see. Driveways— type of surface and amount of turnaround space if necessary. Some communities do not allow gravel driveways. Consider maintenance factors. Gravel driveways will require periodic additions of gravel. Blacktop driveways require annual coating to keep them in good shape. Concrete driveways require the least amount of maintenance. Also consider how snow will be removed from the driveway in colder climates. Parking— for family, guests, a camper, a boat, or bicycles. Is there enough room either in the drive, or on street for adequate guest parking? Are there community regulations concerning off-street parking (i.e. having an RV/boat in the drive way for more than a day may be banned). Outdoor entertaining— cooking, seating, and patio access. Allow plenty of room for cooking so that guests never have to pass close to a hot grill to get from one area to another. Also consider what might grow overhead. That small crabapple tree planted next to the patio may cause future problems as it matures and grows above the barbeque. Comfortable seating is always needed either in the form of permanent bench seats, or allowing room for seasonal seating to be comfortably arranged. Patio areas need easy entry and exit points without causing disruption to seated guests. Children's play area. Kids definitely need a place they can call their own. But remember, that kids are only kids for a short time and that gigantic play set may not be quite so attractive when the kids are more interested in going to dances. Sports, recreation areas (both now and in the future). Specific recreational activities may not be the best investment for the home landscape. While a full sized tennis court may suit your current life style, it may not be quite as attractive for future owners. Do you do your own yard work? 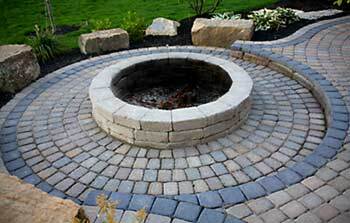 Garden and landscape work usually requires more than just a few tools and supplies. These are best kept somewhere out of the weather and where they can be safely stored away from pets and children. This is usually accomplished by cluttering up the garage, or having a garden shed. Specific gardening interests (for example, growing vegetables, roses, herbs, fruit trees, or bulbs). If you have specific gardening interests, keep the growing requirements of these plants in mind and set aside specific areas suitable for them and their light/draining needs. Refer to the list of family needs and decide where to locate these special use areas. Provide enough space for each activity. This step in the plan, divides the site into separate areas, each serving a specific purpose but all combined into the overall design. Defined special use areas include: public and entrance; family activity areas; and, utility and service. Develop each area according to your needs and priorities.